Most customers are happy with the service they receive from their Which? Trusted traders. However, if you are dissatisfied with any element of your trader’s service, this guide will show you how to complain. Obviously we hope you have a good experience with your Which? Trusted trader, but even the best run business can encounter problems and things can go wrong. One of the advantages of hiring a Which? Trusted trader is the knowledge that you will have a clear procedure for you to follow, should anything go wrong. at a reasonable price, if there is no price agreed beforehand. If the trader’s level of service fails in one of these areas, then that is grounds for a complaint. Equally, if the trader has broken specific agreements in their contract with you, such as how long the work would take, or the nature of the work itself, then that is also cause for complaint. The trader should either redo the element of the service which is inadequate, or perform the whole service again at no extra cost to you, within a reasonable time and without causing you significant inconvenience. Or, in circumstances where the repeat performance is impossible, or can’t be done within a reasonable time or without causing significant inconvenience, you can claim a price reduction. Depending on how severe the failings are, this could be up to 100% of the cost. The trader should refund you within 14 days of agreeing that you're entitled to a refund. Check the Which? Home & Property Consumer Rights guide for more general details. 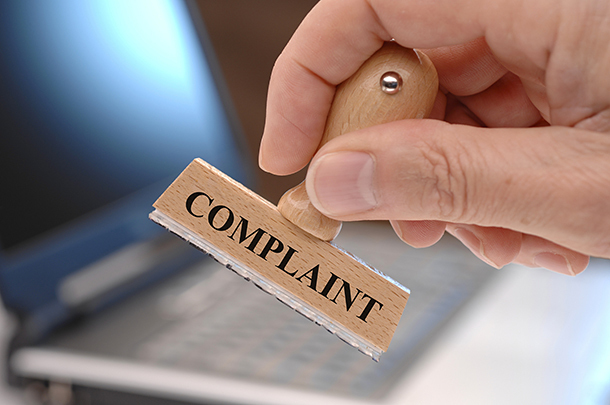 Read on for specific information about how to deal with a complaint about a Which? Trusted trader. within what timeframe you expect the problem to be resolved. You shouldn’t feel anxious about approaching your trader. It’s very common for problems to arise during building projects or general home maintenance, and traders are used to working with their customers to resolve them. Letting traders know as soon as possible if you’re unhappy about something can prevent a small problem turning into a larger complaint. Read our guide to working with your trader for more tips to help projects go smoothly. Most traders will want to work with you to sort out any issue as soon as possible. It’s not in their interests to have unhappy customers. If you make a verbal agreement on a course of action, ensure you put that in writing – either in a text, an email or a letter – so there’s a record of it. If, however, your trader does not agree with your assessment of the situation, or does not respond to your complaint in a satisfactory way, then you may need to make matters more official. This involves putting your complaint in writing. Again, you will need to detail as clearly and precisely as possible what element of the trader’s service you’re not happy with, what you would like them to do about it, and by when. Which? has created letter templates that you can use, should you wish to do so at this stage. For a complaint to a trader in England, Wales or Northern Ireland. For a complaint to a trader in Scotland. All Which? Trusted traders must comply with the terms of our code of conduct and What is expected of you guidance. Under the code of conduct, all Which? Trusted traders agree to acknowledge any written complaint within 28 days, and either provide a resolution or a letter of deadlock if they do not agree with your assessment and wish to take the matter before the ombudsman. The scheme then allows the trader a further eight weeks to agree a resolution with you. Most complaints will be resolved at this stage. If you and your trader cannot agree a resolution to your complaint, or if a letter of deadlock has already been sent, then you can use the alternative dispute-resolution service. Alternative dispute resolution is a less formal way to resolve conflicts between people or organisations, such as a customer and a trader, than going through the courts. As long as the work you’re complaining about took place during the time that your trader was endorsed by Which? Trusted Traders, you have access to the services of Dispute Resolution Ombudsman (DRO). This is a not-for-profit, independent mediation service that’s free for you, the customer, to use. It can provide a faster resolution to a dispute than going through the courts. If you wish to make use of the ombudsman’s services, then you, the customer, need to bring the case. This involves filling out a form – either online, or you can download it and then post it. In addition, you will need to provide written proof of poor work in the form of contracts, agreements plus photographic evidence and so on. You do not have to appear in person to present your case. The ombudsman will then ask the trader to supply evidence to support their version of events. 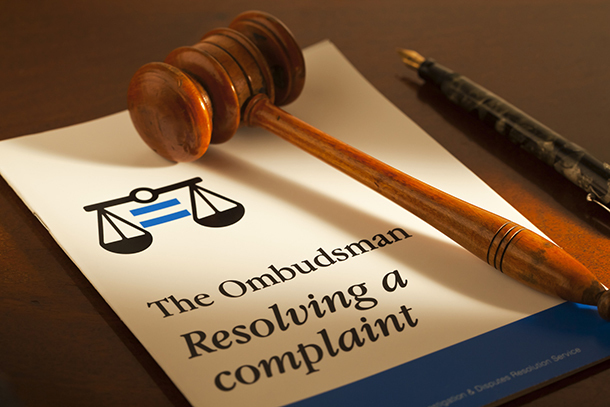 The independent ombudsman evaluates all the evidence and reaches a resolution. If the ombudsman upholds your complaint, they will tell the trader to redo the work, or pay for someone else to redo it, and potentially offer financial compensation of up to £10,000 (excluding the purchase price of any goods or services). The ombudsman’s decision is binding on the trader and, should you choose to accept the resolution, it will be considered as full and final settlement. You can’t then take further legal action against the trader for this complaint. DRO has produced this short description of its services, as well as a more comprehensive downloadable guide to its provision for complaints against Which? Trusted traders. How can Which? Trusted Traders help? Which? Trusted Traders is not able to mediate on your behalf, but we will record all feedback received about traders on the scheme, and monitor their response to your complaint to ensure it adheres to the terms of our code of conduct. Any traders whose service levels fall below the expected standard expressed in our code of conduct will have their endorsement by the scheme reviewed.